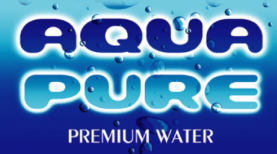 Our team has been serving Kamloops for over 20 years, 15 of which have been under the “Aqua Pure Premium Water” banner. As a local, family-owned company, we understand the value of promoting healthy products that are delivered with a real commitment to quality and value. It is this commitment to our customers that has led us to be called “Kamloops’ Best Bottled Water Company” by The Daily News readers. To learn more about our company’s products and services or to schedule bottled water delivery, please feel free to give us a call at any time. Aqua Pure Premium Water is a proud sponsor of the “Trades ‘n Transitions” program through School District No. 73 (Kamloops/Thompson).